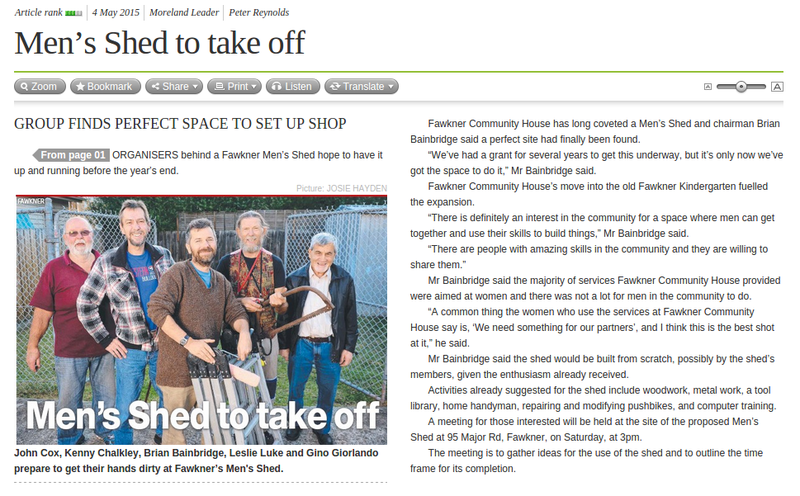 The Moreland Leader did a great article on establishment of the Men’s shed. 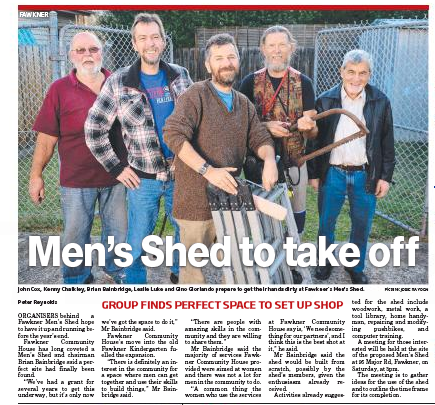 Fawkner Men’s Shed is coming soon! Learn about the project and find out how you can get involved!